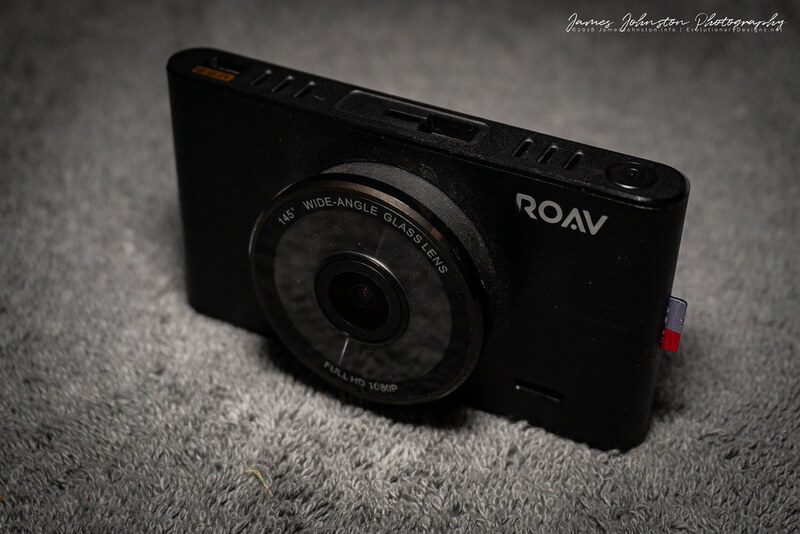 Over a year ago I purchased 2 Roav C2 DashCams and I have to say I love them. I only have a few issues with it but it wasn't enough to return it or toss it out once the warranty ran out. If I remember correctly I'm on month 15 and one of them is still going strong (one was replaced under warranty and explained below.) I live in North Texas about an hour north east of Dallas and our summers are hot and our winters aren't fun (not as cold as up north) either. Our summers did a good job at testing the strength of the battery heat specs. Below is a summery of my review with plenty of videos linked from my YouTube channel. To see the complete review check out my review on my website. After opening the box and removing everything I found the camera to be on the larger side. It takes up a lot of windshield compare to Roav’s other dash cams. Its about the size of small cell phone. This could be an issue if you have a small windshield and have a cell phone and other items attached to the window. 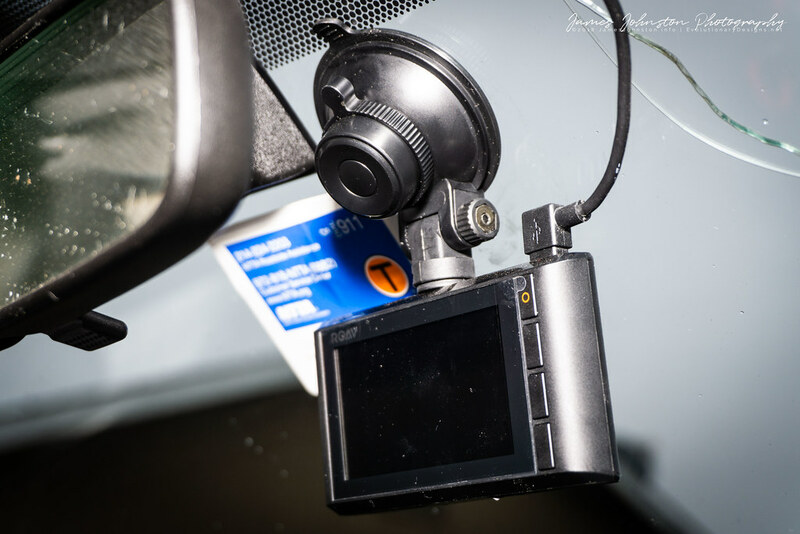 Luckily for our cars the dash cams were able to be hidden under the rear view mirror. 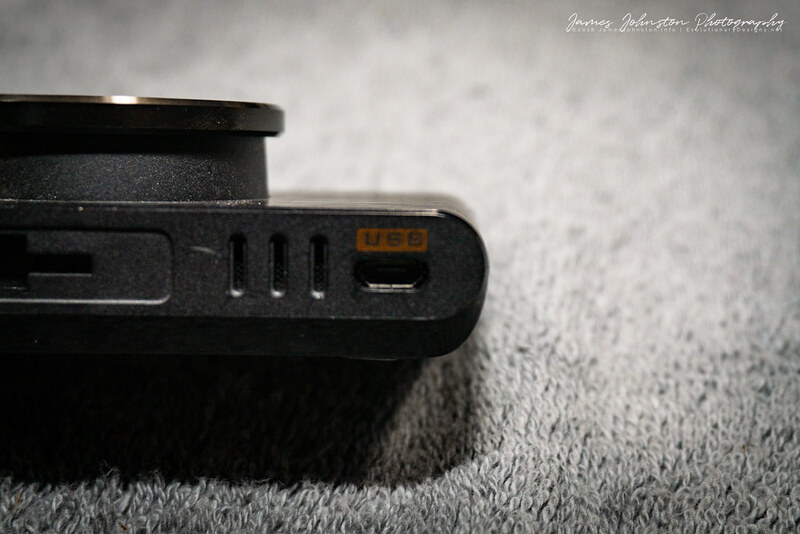 Testing for the Roav DashCam C2 is easy. Just plug it in and go. I found video in most conditions to be good. However, bright headlights, when facing the sun, and the edges of the camera to not always be clear. There also a few times I found that license plates weren’t always clear. If I got to close, my headlights might cause a refection. If to far away it was blurry. At night sometimes you just couldn’t see it. But for the most part you see enough to be usable in court. For testing I used a Scion xB and a Subaru Forester. We always have our cameras on. I have footage driving the muddy dirt roads in heavily forested area taken an hour before dark through pitch black night with only the headlights lighting the way. I have footage of rainy days and night. I even have footage just after a storm passed the area. Its bright out but no sun shinning. I have footage during the day and during traffic. Most of that footage is boring. As I get more footage I will add it here or you could always check out my YouTube Page for dash cam footage I’ve shared. The above video is a shorten version of the video. This was shot in the Subaru and is out on a 200 plus year old road near Port Gibson, Mississippi. As you can see from the video its dark out there even during the day parts. The video is decent. Please note that YouTube may have compress the video. Change the quality to see a better version of it. This video was shot in the Subaru during morning rush hour. It shows what multiple lanes of traffic looks like and when you can and can’t see license plates clearly. This is just a short boring video of hail storm. Example of evidence you could use the dash cam for. This could be turned into the insurance company so they can see how it really happened and when. Also take a look at the rainbow that was caught in the footage. This was taken a few minutes after the hail stopped on a back country road. Scroll through the footage. Towards the end the dash cam catches the full rainbow. While driving home in the rain in the Scion. This is an example of a 4-Lane Expressway at dusk while raining. You can see cars passing by and when they come into view of the camera. Driving home from work on the same day as the above picture and splashed by a vehicle passing by. Another piece of evidence if this splash had led to an accident. This video was taken toward the ends of my trip home from work. The footage shows a few cars passing with their lights on. But check out the sides of the video. As I left the main road the flooded out muddy dirt road you will see the trees and the side of the road – the video quality is a little soft. This footage was taken as a storm was coming to the area. You can see on-coming traffic and how well the headlight look. They really do not flare out the lens. At the end of the footage you can see a lightning strike that lights up the night sky. 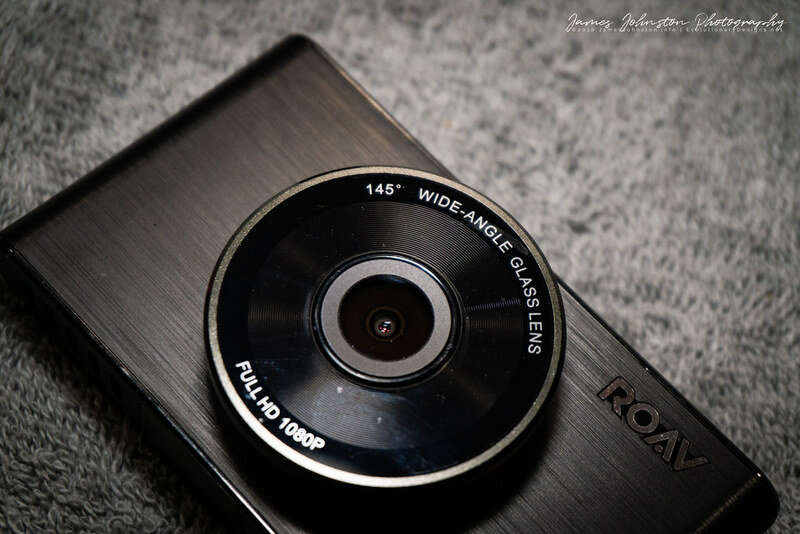 Overall I like the Roav DashCam C2. My wife and I try not to drive without one. We feel that with all the bad drivers, crossing wildlife, and catching accidents while out and about, we need to protect ourselves from the bad ones out there. Plus its great for capturing your road trips. Just keep in mind that this isn’t a GoPro or a professional video camera setup. Its meant to catch accidents not look pretty for a movie. The quality is decent and worth keeping. We kept a handful of videos from several of our trips because we couldn’t film the trip with my camera or even stop to get pictures. It takes great video day or night, rain or shine, bright light and low light. It will get the job done when the footage is needed. I also like that you have the option to mount the dash cam with a super strong suction cup mount system or us the more permanent. The suction cup system falls off every once in a while. But its easy to reinstall and usually only falls when there's extreme temperature changes and condensation builds under the cup. 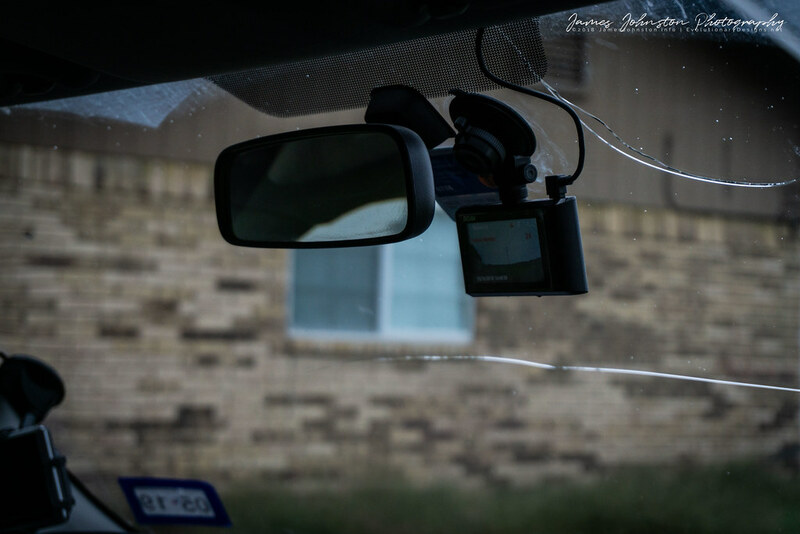 Although this unit is large and takes up windshield real estate, I think the larger size makes it easy to view footage on the unit or look at video as it records. One of cameras failed about about 2 months before the warranty ended. It looks like the battery swelled up on a hot day back in August. But Roav Support helped us out. Within 3 back and forth emails they sent me a brand new one and not a refurbished one! They even paid for me to mail out the old one. After I received the new unit they asked a couple of times on how well the new one was working. My other camera is doing great and doesn’t have any issues. Its passed warranty I plan to continue to use until it fails. Hopefully it will be few a years from now. I plan to move it to back of the car once I get my new dash cam. The exhaust ports on the bottom do help with cooling. What I don’t like about the camera is that doesn’t come with WIFI. This feature would be great. I really dislike removing the SD Card every time I want to save some footage. The spring release is crazy strong. If I don’t seat the the card properly it will shoot out the port. It will fly through the air and land anywhere from a few weeks to 15 feet away. Thanks, It took me about 3 hours just go through the footage and edit. I mainly put off the review because its takes a lot of time review cameras. 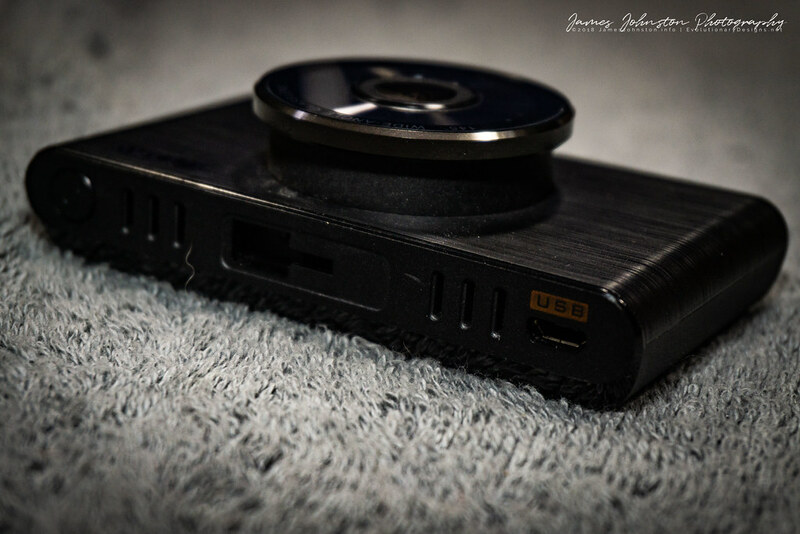 Love your review and GREAT photos! Thanks for sharing these. Wow, that's an excellent review! Thorough, based on real-life, long-term experience, and with great photos! Awesome job! I own one of those, and just this month I had a quick encounter with a bear cub on a Vermont country road. I waited to get home to take the footage, believing the card was enough for more than one day of files, but it was already overwritten when I got to it. If I had WiFi on the camera I could get the footage on the next stop and have proof of my story. So, I'm right there with you. Awesome review and great videos, @Element321! Thanks for posting! Great review, nice videos and photos! As usual you did an excellent job!. Thanks, that's the cropped version. I think there is 7 or more flashes. I may edit the video next week and post the who footage. I would posted it fully edited but that takes a lot of time and I didn't want to spend to much time since I have the S1 coming due this week. Exactly! If this one fails I think I may purchase the Wi-Fi version of Roav hasn't come out with a better option by then. Wow that's your rush hour traffic... Where are you located? That's in Frisco, about 30 to 40 minutes north west of downtown Dallas, Texas. During that video, the traffic wasn't to bad. Its normally worse and as you go towards downtown Dallas a 30 minute drive can take over an hour. I use to have 63 mile one way drive to work. On a good day it would take 2 and half hours. On a bad day it could take 3 or 4 hours. I only made it about 3 months before I found a job about 30 miles one way.